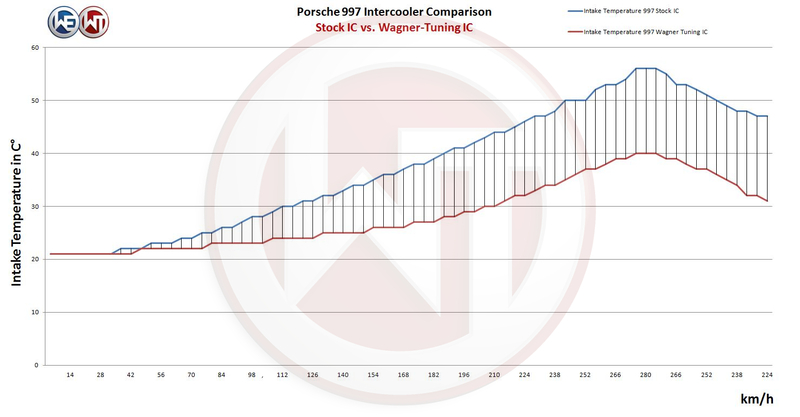 The Wagner Tuning Porsche 996 911 Turbo (S) Intercooler Kit is a high performance redesign of the original OEM intercooler designed specifically for the 996TT Tuning Enthusiast. 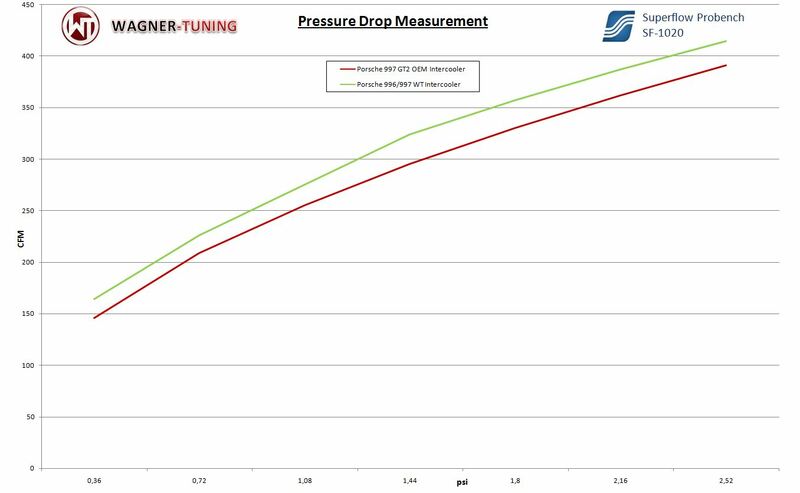 Our engineers have increased the intercooler core size and efficiency, as well as improved the end tank design to remove any OEM bottlenecks, resulting in increased flow rating and charge cooling properties. Constructed of the highest quality Bar and Plate intercooler cores combined with cast aluminum and then CNC end tanks for reliable high performance air to air charge cooling.